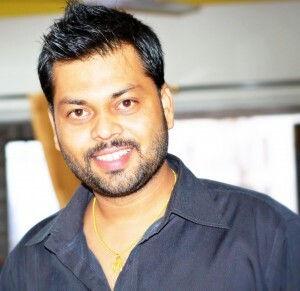 Trak.in is written by Arun Prabhudesai, an avid Internet geek, IT professional since 1996. I am in my early thirties, hailing from India and currently living in East Coast moved back to India. Have been in IT industry for more than a decade, and currently doing management and consulting work have taken a plunge into entrepreneurship. About my Interests: As visible from my blog, I am passionate about (in no particular order) the new business trends in India, entrepreneurship, and Start-ups with Indian flavor. Other than that my interests include keeping in touch with latest happenings in the field of Politics, stock market, finance (although I have never been good at it) and off-course technology. I was a gadget freak till couple of years back, but when I saw myself spending too much of money on buying unnecessary stuff – it was time for me to cut down. I spend nearly 12- 14 hours a day on my computer, out of which 8 hours is my full time work and rest of the time, it is either writing blog/ reading about all of the above or spending time with my wonderful family. This blog news and opinion site officially started on 1st May 2007, although I wrote a few posts in the end of April 2007. The reason I started Trak.in was to keep myself, and in the process also the readers, intouch with latest Indian Business and Startup Buzz. The focus of this blog will always remain on Indian Business and startups in general, however, being in IT for more than a decade and being passionate about technology I may sometimes drift into Technology and Web2.0. Trak.in does not have a laundry list of recognitions like some of the A grade bloggers, but yes it does get mentioned every now and then. Here are few that you may want to read. Times Online picks Trakin as one of the Top 10 Indian Business Blogs. Trakin is part of India Blogs1.0 directory of Popular and Upcoming Indian Blogs. If you have any suggestions / issues / request about content published on Trak.in. You can send us an email or fill in the form given below. One of the finest business blog on the net, that too coming from an Indian mind. I am pursuing PG in Engineering and I am very much fond of Technical articles. I found it very informative while going thorugh Technology section of your blog. However, I have also started blogging just before two weeks and it’s a technology blog. Highlights of my blog are Linux and Networking. I don’t know whether my articles will reach people around world through my blog or not, but I wish to post atleast one article on this blog, so that I would feel what I have been doing with blogging is not at all worthless. Nice business blog. Just now we have started Design business in recent days. We also write the blog (kcdecals.blogspot.com) to show recent updates.We are in art field or home decor area. Can you write a post for us. How can one become a contributor of articles, concerning start-ups, to your blog. I’m Big fan of trak.in. Thanks for such great efforts. My blog’s main motive is to provide quality content to my readers like your blog. Great Work, and well organized structure, that’s how I would like to comment this initiative. I am a passionate blogger with experience in multiple disciplines, look forward to interact with you. Would like to know whether you have any freelance options. Hello Arun, would it be possible to share your mail id with me? Exploring the posibility of doing a bloggers meet to discuss the budget post 16th March and wanted to share an invite with you. Thank you. This is raghavendra from Indore, I am very inspired by your thoughts and decisions(this blog).I just wanna request you something although i m also a Soft eng. and i know it is a dream for them to go abroad but it is not in my case. I dont wanna go Abroad, but still there is a lot of brain drain, See you have already lived there so can you compare both the aspects of life here n there. wow! your blog is awesome! really a biz type..
1) Are you a full time blogger or it is part time passion? 2) Can this be taken as a profession? Really need your inputs buddy. Good Morning. I am doing Mobile Handset Business for last 4 years. I am agent of Gfive Company, hope you must have heard this name. Actually I want to start new brand together with Gfive Company for Indian Market. I come to know you through Google and happy to know you. I just read your introduction and start writing so can not say much about your contents but sure your idea and blog must be usefull. I will back again later on your blog and comment about contents also. Since you are interested in photography, have you heard of the offerings from Olympus and Panasonic? Olympus has come out with the TOUGH TG-810 which can withstand upto 100 kgs, and the Lumix FX77 with a beauty-parlour like feature that enhances your phsyical appearance for a pretty one? I can understand that face-recognition software has come a long way, but this is too much! I am a lecturer at St. Mary’s College Hyderabad. I am also the coordinator of the Post Graduate Studies Programme which has been set up this year in our college. Our aim is to basically design and deliver courses that would provide young people with the knowledge, skills and (positive and enthusiastic) attitude to create or pick up on professional and entrepreneurial opportunities in their lives. My interests are mainly business writing, business research and trends analysis. I would like to post articles written by me over here from time to time. I would also like to post some interesting article that i come across while reading however, i am unaware about the copyright issues. @Tejal: you can start with not-so-bright colours on your blog. I have to put up my goggles and not stare directly at your blog to stop hurting my eyes. refer to Arun’s post on “online travel agencies”. He has given “user interface” parameter a lot of weightage. Clearly , with your colouring scheme, you will win “best can’t be looked at” blog award. I was searching for some info and Google helped me reach here. I quoted some of your posts in my blog; they are insightful. And eventually got to know more about you from a close friend. Loved your blog! esp the STARTUP category. I often wonder what content can get repeat visitors and then I got the answers from your blog! I have sent you a mail about the story of our website: http://www.saledekho.com. Awaiting your comments on the same. Arun, there is so much in common, I just can’t believe it. IT industry for 12 years, currently working in the US and I am on the internet all the time contemplating the idea of getting back to india soon. Stumbled upon your blog and liked it. The frequencies match. Overall very informative writings. Keep it up. As regards your story Doing business in India. Just for my interest could you avail all these registrations and certificates on line or you have to run around and bribe the officials who seek pleasure in tormenting and extorting from you. Visit http://www.nrifm.com if you can. This blog is really useful to get updated about new trends in India. Thanks Arun. I must congratulate you for your fruitful efforts and the recognition you have earned. Although, somewhere I have seen your advice to the new bloggers. My area is very specific – only humorous articles or may be sometimes any similar poem. Timing constraint is also there – I may contribute once in a fortnight. Will you advise me what is the right course of action for me – say where to start blogging?